We can never go too long without sharing art from Darren Tibbles, who is now on Patreon by the way, and deserves some Star Wars fan support! His latest shot is a sketch he whipped up to test some new PS brushes, and based on the end result, one would think he’s been using these brushes for his whole life. The image is of Mythos Obi-Wan Kenobi, which is a take on Obi-Wan that Sideshow Collectibles recently brought to life with a fantastic 1/6th scale figure. 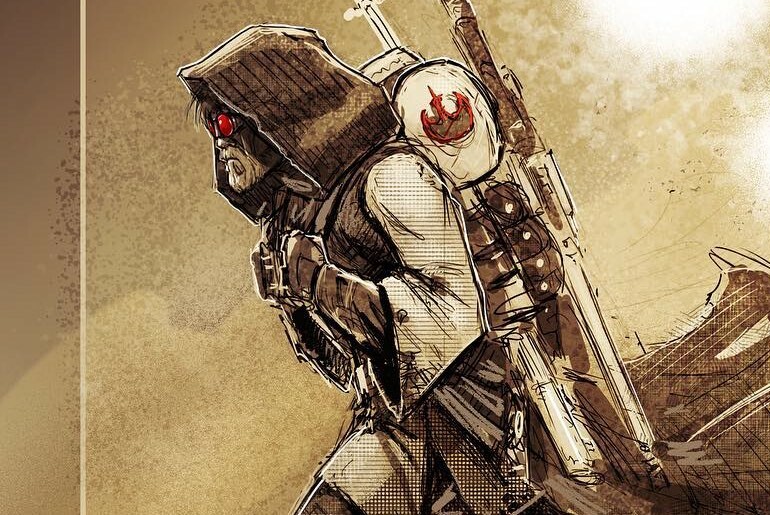 This version of Obi-Wan depicts him years into his Tatooine exile while also incorporating items from his prequel past. It’s easily my favorite depiction of Kenobi, and he makes for a great art subject in any medium. He even make me look like I know what I’m doing with toy photography because he’s such a dope looking character. Anyway, if you love Darren’s version of Mythos Obi as much as I do, you can pledge to his Patreon to get a hi-res version of it.